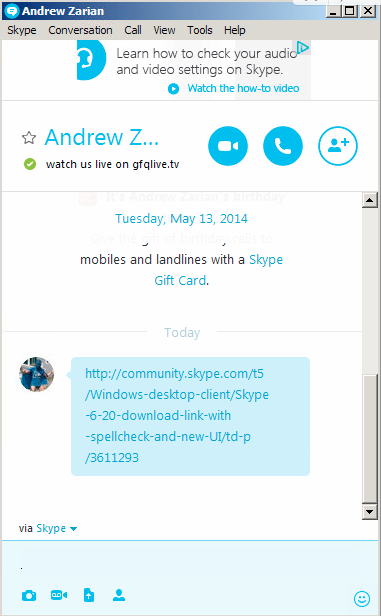 Seems like there is a new version of Skype that was released to some users a few weeks ago. The version number is 6.20.64.104. Here is a direct link along with some screen shots of the new UI . What do you guys think? It's going to take some getting used to. Have you been able to find any benefits other than the proverbial bug fixes? Just installed it on my PC, and I am disappointed. 1. WAY too much white space in the contact list and the chat. It maybe (??) geared for their mobile application, but hey, this is MS, can't they sense what you are using? 2. That blue color they use for the name of the person in the chat is dumb, and the organization of that page is even dumber. Little interesting fact. 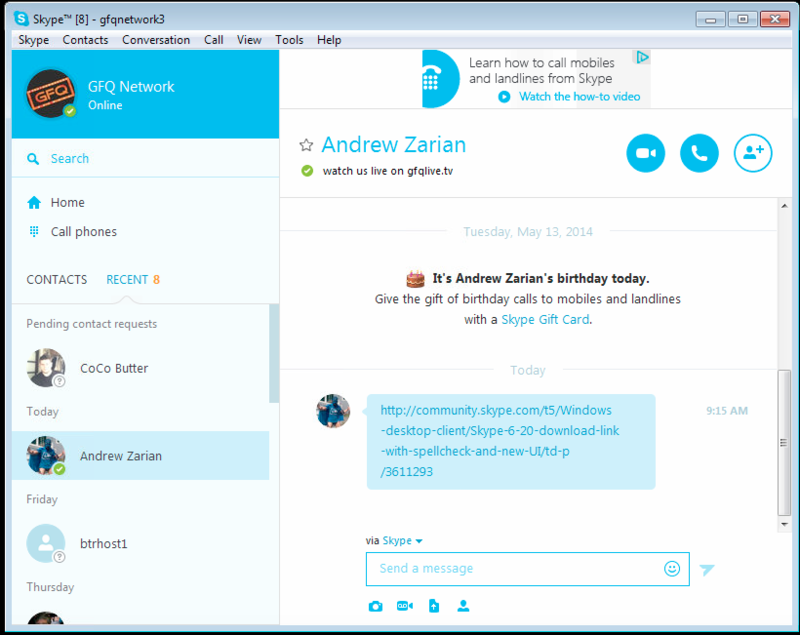 Skype version 6.20.64.104 has the new UI but... Skype version 6.20.73.104 does not. hmmm. So had this update a few weeks ago for me. I thought it was a known change. Is this some sort of beta if the new version does not have the new UI ? Where did you get it from Andrew?